Growing your own vegetables, and even your own flowers from seeds is very fun, and also can save you money. However growing them from seed might seem a little tricky at times. One of the keys to getting healthy starts is keep them growing fast. There are a few simple tricks you can use to keep them healthy and growing fast. 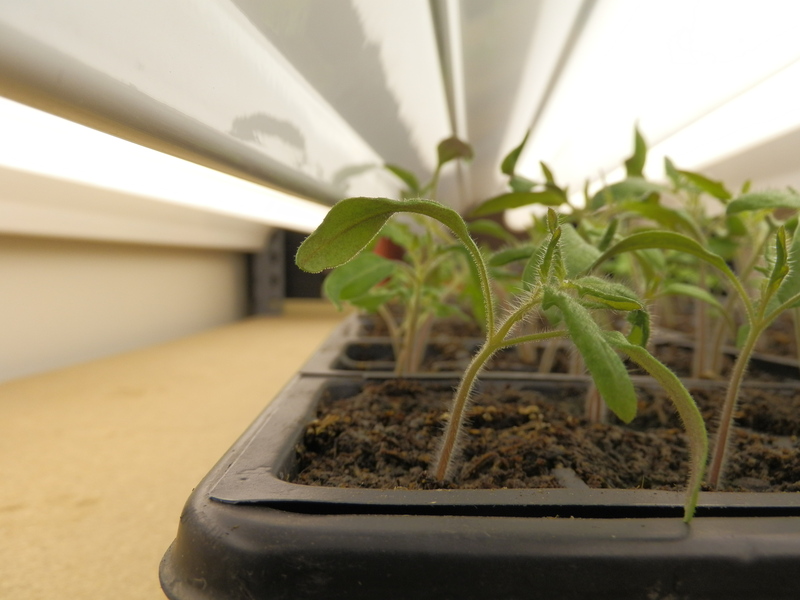 After all of the seedlings have their true leaves, with a very light fertilizer, feed the seedlings. Thin them out with a pair of scissors or something that will not disturb the roots. However if you are growing onions, they will grow back if thin them out with scissors so they have to be very carefully pulled out. Thinning out will make it so they are not competing for light and nutrients. Lightly brush the plants with your hands everyday or as often as you think about it. This will help them build up stronger stems. It is what the wind dose for them out in the real world. You can even keep a fan on in that room to help the plants get good air circulation and it helps so that no fungus or mold grows on the soil. If you seedlings are spindly and look as though they are stretching to reach the light, they are not getting enough light. This can happen if you are using a window seal to grow them, or if the fluorescent lights are not close enough to the plants. I keep them just a few inches and move them up as the plants grow. Water the plants from the bottom. This encourages the plants to extend their roots downward and gives them a better foundation. Transplant the seedlings when they start rubbing leaves with the next door neighbor plants. Root bound plants if left long enough, can cause the plant to be stunted it’s whole life. Great advice. You have great plants.